It's been a busy few days as my sisters & I have begun the sad task of starting to sort through my mum & Tony's belongings. Although it has been really sad at times we have also been laughing loads at some of the things we have found like our old school reports, & photographs we hoped would never see the light of day again they are that embarrassing lol. I hate this card lol. 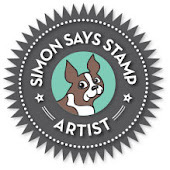 I've only just about got my head around CAS cards but one layer has caused me to almost have a total melt down lol. It's seems kind of something & nothing to me with no pretty papers or embossed backgrounds & creating it caused much sighing from me as this theme certainly did what it's supposed to & challenge me! 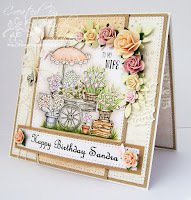 Now I'm going to breathe again and show you a much more "Mandy card" which is one I created a little while ago & discovered this morning saved in a draft post & realised I've never blogged it! 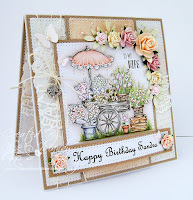 I love this Magnolia Flower Cart stamp, it's so pretty. Q - What colours does Sandra like? A - Anything I think! You choose! 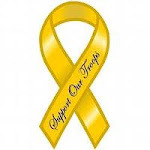 Q - Would you like an image / picture as a focal point? A - If you like! 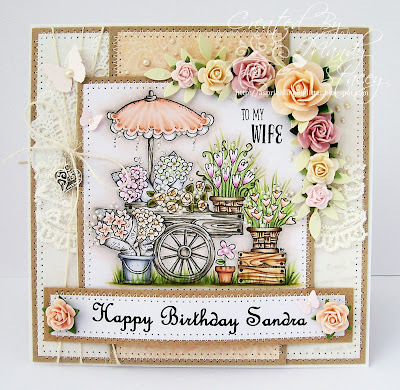 Q - If I use an image would Sandra like flowers, animals, or people? A - Yes, any of them sound nice! 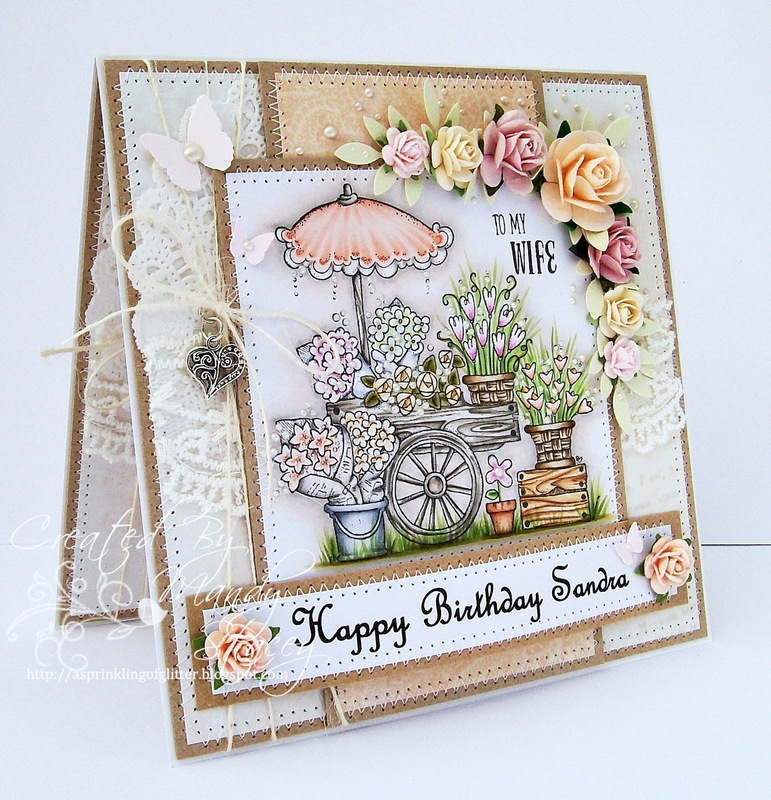 Q - Would Sandra like lots of pretty embellishments to make it really feminine like roses, butterflies, ribbons, pearls, lace etc, or would she prefer something less fussy? A - I'm not sure, what do you think????? Q - What sentiment would you like? 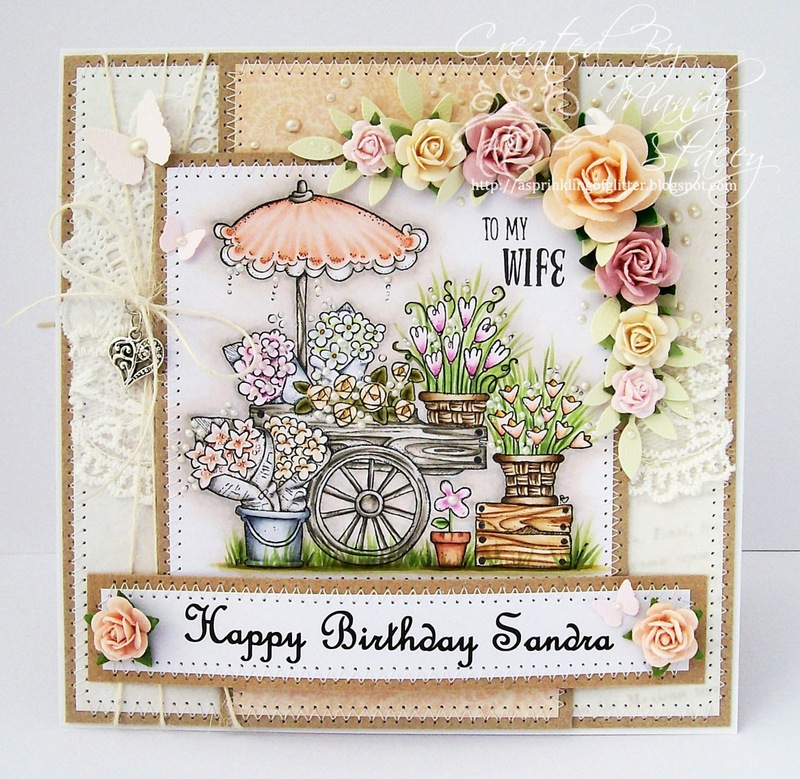 Just a standard birthday greeting or would you like Sandra's name on the front of the card, or wife, or both? A - I'll leave you to decide! Q - Would you mind if I stick pins in your eyes or shall I decide for you? A - What! What have I done? 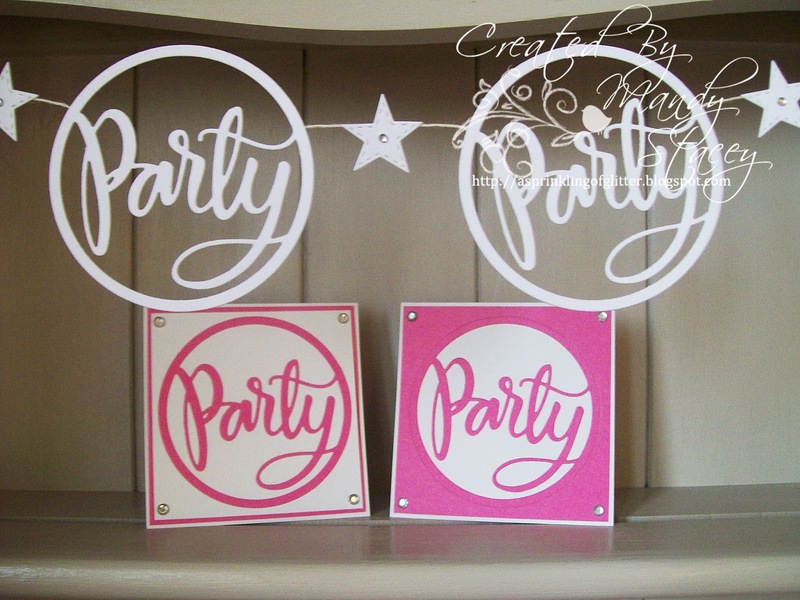 gorgeous cards Mandy, it's true the 2nd one is much more 'you' but the first CAS one is stunning! 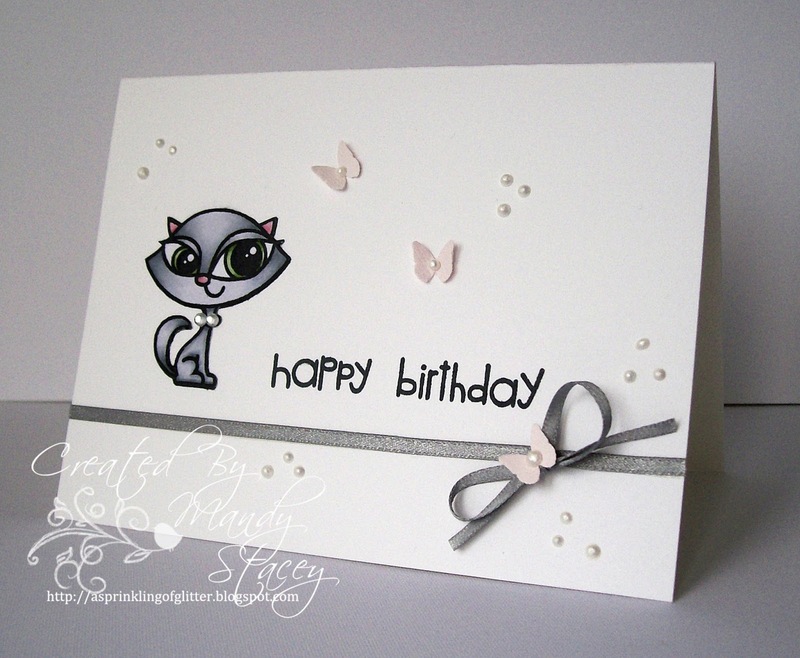 the grey with the delicate pink butterflies is so pretty! Mandy it's good to hear your sense of humour sneaking thru your sadness! I have too say I LOVE the first card - different from you but perfect. Must be good cardstock to not bleed thru tho I don't use these pens can imagine they are similar in bleeding to PMs. And the second one I couldn't see thru my tears of laughter with your conversation with your customer!!!! But it is stunning too and I do hope Sandra loved it with all the effort he put into its design ha ha!! Stay happy reminiscing! 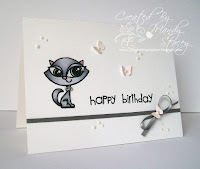 I'm with you, Mandy, it is HARD to do these 1-layer cards! But I think you did a fine job, that cat is so cute she needs to be all by herself! 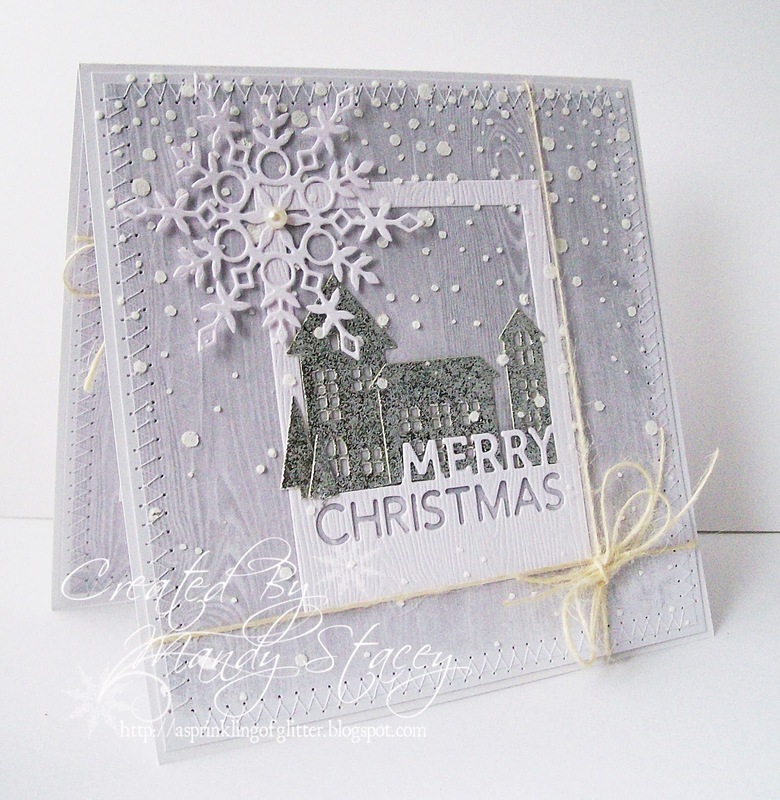 Love your wonderful 2nd card, too, full of your beautiful layers! I'm sure Sandra adored it! 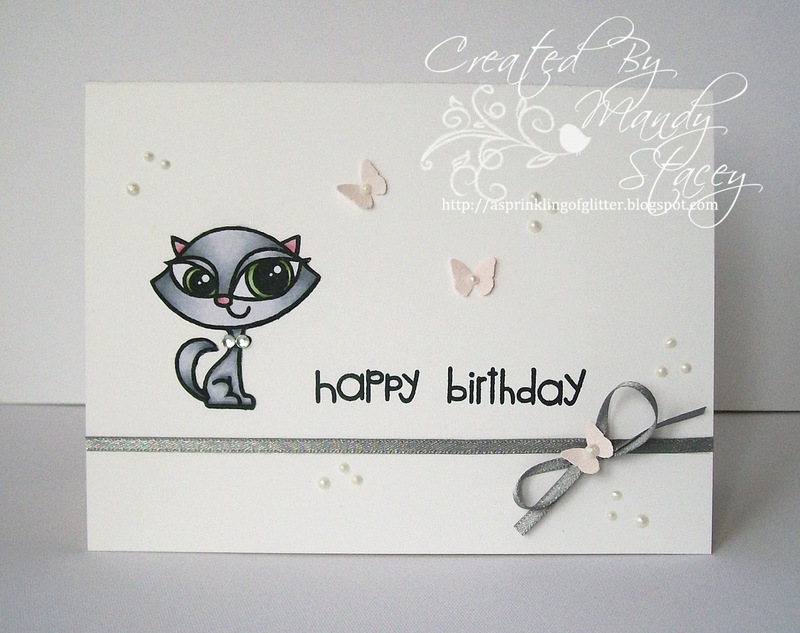 Gorgeous card Mandy, your SSS is adorable with a beautifully coloured cute ketty and sweet details!! Your Magnolia is stunning with gorgeous colouring with fabulous embellishments!! 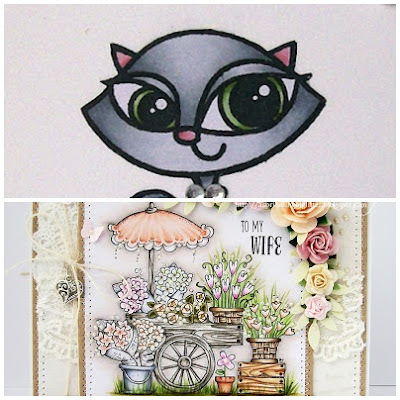 Oh my goodness I love your one layer kitty card and your gorgeous garden Mandy. 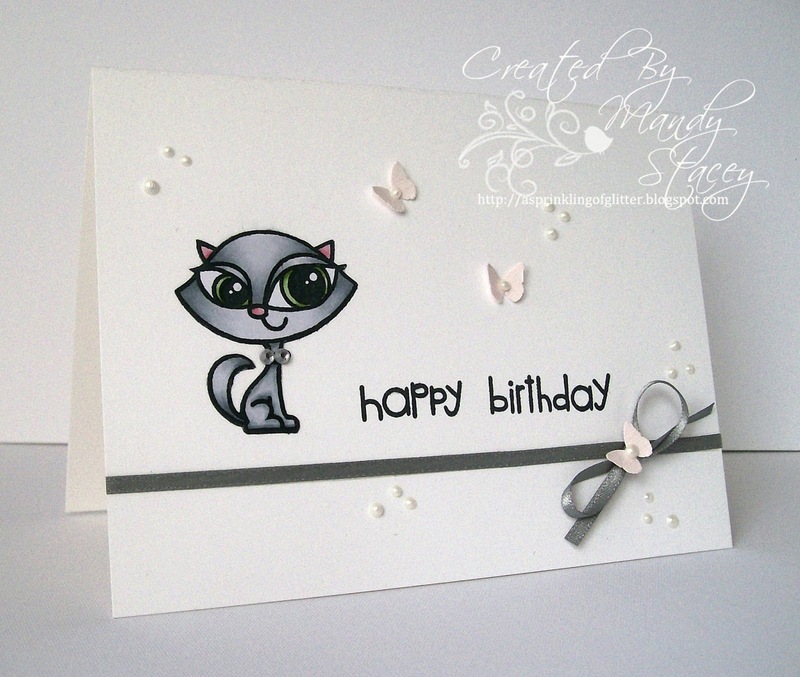 Love the cat card! Your shading is perfect. And the shimmery ribbon is a wonderful detail. Hi Mandy, what gorgeousness !! 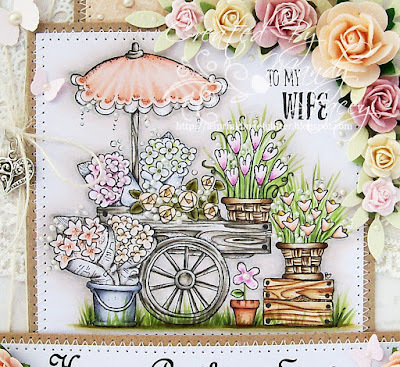 i love your cards always stunning!. I to been sorting mum's things out and oh the things she kept!, made me laugh and cry!! WOW what a gorgeous design, beautifully colored, love the stitching and wonderful embellishments. 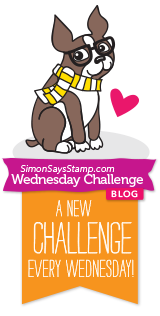 Thank you for joining our blog challenge at SweetStamps.com. Very pretty card. So lovely with all the flowers. Thanks for palying with us at Inspiration Destination. OMGoodness - what delightful cards. I too struggle with CAS so I know exactly what you went through. Fabulous colouring on the sweet kitty. The floral card is really stunning. That card is to DIE FOR!!! Shake It Up & SSS New Release!